Note - This page post will be updated as the need arises, with reference to the ever changing rules and regulations of each individual platforms. Our aim is to help you improve your social media marketing impact using visual content, hence its very important to know and implement the right image size in your social media content marketing as each varies in size and proportion. Are you struggling with your social media content impact ? Do you want your visual content to look appealing and custom fit on your social media profile? In the world of content marketing, visual-centric content has garnered a respected 63% share in overall social media content in the last year alone. Today, 70 million photos and videos are shared on Instagram daily and 50 percent of Pinterest’s 30 billion pins were added in the last six months. A rule of thumb for social media marketers is to always have the right size for each platform - in order to maintain the proper proportion and image clarity, for better visual appeal. Stand out from the crowd by learning how to optimize your social media platforms with the right image size and proportions. 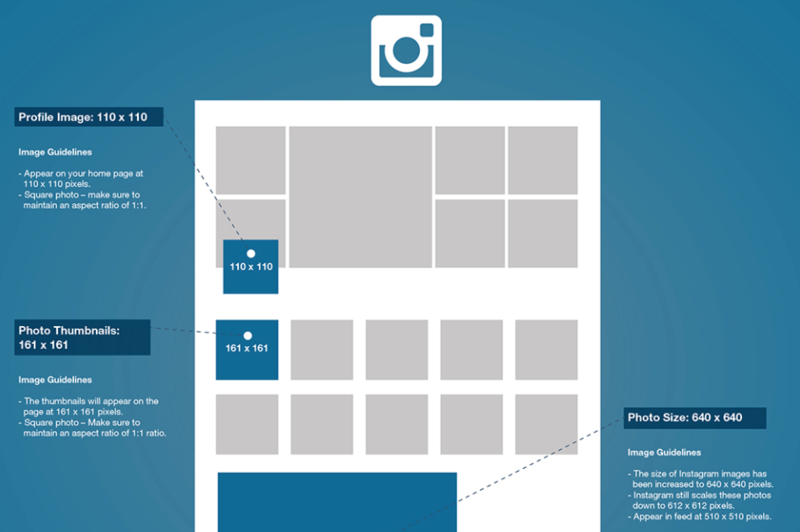 In this blog post, we provide you an in-depth with detailed image sizes to use on the most popular social networks that include Facebook, Instagram, Pinterest , Twitter, Google , LinkedIn, Youtube and Tumblr. Visual posts are widely used when sharing daily memes, a blog image snippet, anything you can think of in employing content marketing - one thing is certain - most brands spend countless hours improving and personifying brands on social media platforms. 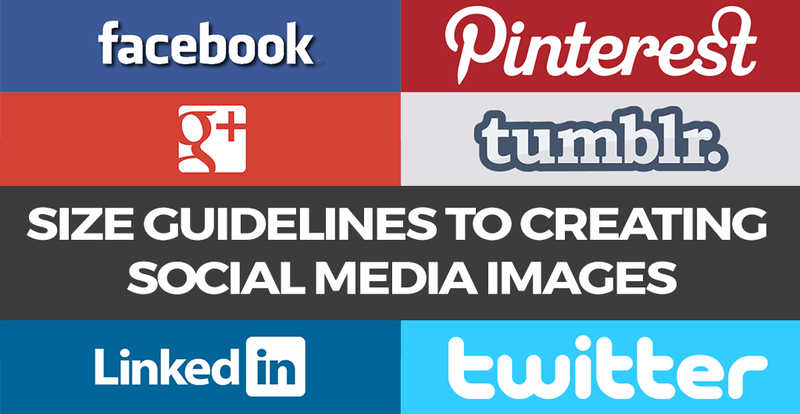 In order to succeed with any social media marketing effort, it is vital that the images used in representing brand, are compliant to platform standards. In this blog to learn how to fully optimize your visual content on social media platforms, we have also included handy tips and tricks in what kind of images to use in every scenario. 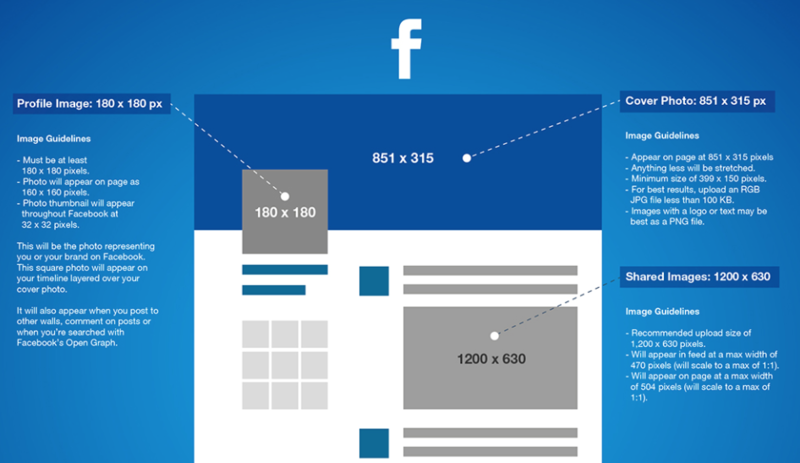 There’s a lot of image sizes to work on in using Facebook for marketing campaigns. You cannot skip this in your marketing strategy because a recent report by Simply Measured indicated that 77% of brand engagement on Facebook happens on images posts. The Profile Photo.Say cheese: this is going to be the photo representing you or your brand on Facebook. This is the square photo that appears on your timeline layered over your cover photo. The image for your profile photo should be 160 pixels wide by 160 pixels high. Failure to upload the proper dimensions will result to cropping and poor resolution. Also note that the thumbnail for profile picture can be adjusted, simply click the profile photo and tick adjust thumbnail and reposition your picture to show the best part of the image. TIP- Upload a photo with 180 pixels wide by 180 pixels high, this size will be cropped to fit the profile photo square. As long as your image is larger but with the same proportion, it should size properly on upload. The Cover Photo. The recommended size for a page’s cover photo is 851 pixels wide by 315 pixels high. Remember that along side your cover photo should have ample space to accommodate profile photo, business name, category and interaction buttons. Don't waste your cover photo space. Maximize this image, if you are promoting your brand, use this space to share something that talks more about your brand. TIP - Upload photos as an RGB JPG file with the 851x315 dimension with less than 100 KB for faster loading. For images that carry out brand logo, upload them in PNG format. For the non techies: RGB (stands for Red, Green, Blue) is a standard screen view image color format vs. CMYK (Cyan, Magento, Yellow, Black) which is standard for Printing. By default all common image programs for web use are set in RGB. AD Images. Images sizes under ads vary depending on goals or objective your ad is based to achieve. the recommended width in all objective based ads is 1200 pixels wide. if you are aiming to increase Page Likes and Event Responses, the recommended height is 444 pixels. If you are targeting Video Views then the ideal image height is 675 pixels. If your target is to gauge Page Post Engagement then 1200 pixels wide by 900 pixels high should be used. As for all other objectives the recommended ad image size is 1200 x 628. The underlying reason for these varying sizes is to ensure that the ad images you create are displayed at the highest resolution for all ad sizes - the reason is that Facebook users get access to your ads with the use of different devices. For the latest CAROUSEL ADS, the ad campaign that allows you to share 3-5 images in a single ad, the recommended size is 600 pixels wide by 600 pixels high. Shared Image. A shared image is the most common visual content you find on your timeline and newsfeed. it is often times the ones you find shared on your timeline. Recommended size is 1200 pixels wide by 630 pixels high. These images will appear on feed at a maximum width of 470 and usually appear on page at a maximum width of 504 pixels. This is a visual-centric platform, image sizing plays a crucial role, especially if you are marketing your business on this platform. This is a great place to drive referral traffic, because 90% of Pinterest pages are external links. Profile Photo. Recommended size is 165 pixels wide by 165 pixels high. Board Cover Image. This image is the one that serves as album cover if you would regard each board as an album on Pinterest. The board thumbnail recommended size is 222 pixels wide by 150 pixels high. You can’t go wrong with your board covers - simple, we have mentioned in a previous blog (link to Brands Rocking Visual Content) that your images should relate to your brand. When working on the goal to increase brand awareness, your board cover should reflect images about your brand. Pins. 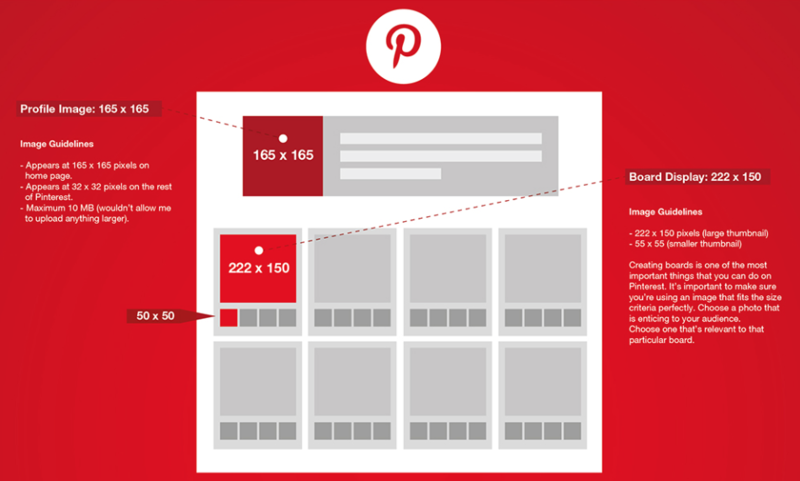 There is no size requirement for pins you share and repins you add to your board. However, if you are using Promoted Pins, then the recommended size is a minimum width of 600 pixels by 900 pixels high and up to 2100 pixels. The recommended size referred to here is compliant to 2:3 and 1:3.5 aspect ratio offering a minimum width of 600 pixels. Tip: Aspect Ratio refers to the width and height relation of the image. An image with a 2:3 aspect ratio will have 600 pixels wide by 900 pixels tall or one could have 800 pixels wide by 1200 pixels tall. A 1:3.5 aspect ratio is one that could be 600 pixels wide by 2100 pixels tall or 800 pixels wide by 2800 pixels tall. Pins with an aspect ratio that is greater than 1:3.5 are truncated in the feed with an option to expand pin link at the bottom. TIP.Most pins in the visual stream will have a width of 238 pixels and the length is adjusted accordingly to its height. A great solution to avoid having over stretched or limited viewing is to use pins with 736 pixels wide by 1128 pixels high. Image sizing on Instagram is pretty simple as it has built in tools that automatically crops and adjusts the appearance of the image. So what to do if you want to maximize your photos ? Maintain 1:1 aspect ratio from a 640 by 640 pixels of up to 1936 by 1936 pixels. Instagram is a visual reliant platform, whatever you upload and share automatically finds its way to newsfeeds of your followers. TIP. When using your smartphone to capture photos you will share on Instagram change the size of your photo using a camera app. Use the square orientation before you take your picture so you don’t have to worry about having to crop or chop some parts of the photo you wish to share online. Twitter, a microblogging site made tremendous structural changes in April 2014, to give its users a more personal, interactive and dynamic experience. Essentially the major roll out was to provide better hosting and access to pictures and buttons. And then early this year, Twitter rolled out its video hosting capability. Header and Profile Photo. the header photo is akin to Facebook cover photo. The recommended size for a profile header is 1500 pixels wide by 500 pixels high, having a 3:1 aspect ratio. The profile photo on the other hand should be 400 pixels wide by 400 pixels high,however this will be reduced to 200 by 200 when displayed, having a 1:1 aspect ratio. Tweets with Images: There is no specific requirement or recommendation for images added to tweets. However, a 2:1 aspect ratio works wonders, of something that could be 440 pixels wide by 220 pixels high in minimum up to 1024 pixels wide by 512 pixels high. Twitter Cards: For Twitter Business accounts, Twitter cards format website tweets. 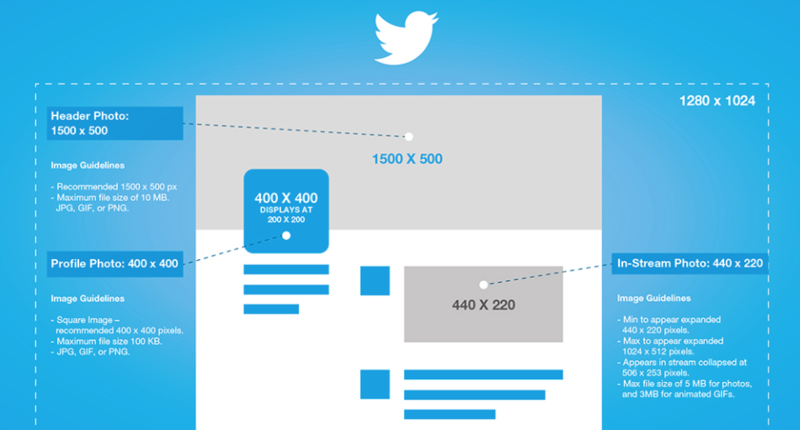 Image sizes on Twitter cards vary according to marketing objectives and goals. For example, A Summary Card must be at the very least 280 pixels wide by 150 pixels high.For a complete guide on card types, please visit the Twitter Support center. AD Images: The minimum image size requirement for lead generation card if you are using Twitter advertising is 600 pixels wide by 150 pixels high. On the other hand if a website card is used for website click campaign, the minimum image requirement is 800 pixels wide by 320 pixels high. Google+ is undeniably important in social media marketing because it is owned by the king of all search engines. If you have a Google+ account, when somebody tries to locate or enters a search about your brand, Google pulls your initial information from your Google+ profile. Cover and Profile Photo: The recommended size for G+ cover photo is 1080 pixels wide by 608 pixels high and with a maximum size of 2120 pixels wide by 1192 pixels high. This is big, and it should be used wisely to showcase your brand, product or service or you can opt to use an image that best reflects the belief of your company. The profile photo’s recommended size is 480 pixels wide by 270 pixels high and the smallest photo that could be used is 250 pixels wide by 250 pixels high. Shared or Post Photos: To grab the most attention in the news feed, use taller images with a minimum width of 497 pixels, a feature photo post with this sizes will appear at 426 pixel on G+. TIP. When sharing images on G+ upload longer images. 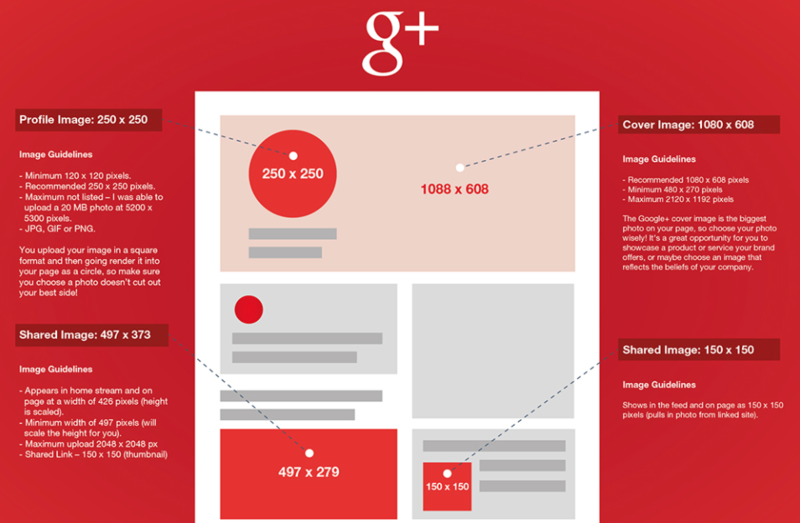 Longer images will take up more space in the news feed and believed to grab more attention of any Google+user. LinkedIn is a great resource for B2B marketers and presumably the best platform to establish authority and get connected with other industry leaders. It may be the very least in using visual content but reports have shown that adding photos on LinkedIn posts increases your views by 11 times. 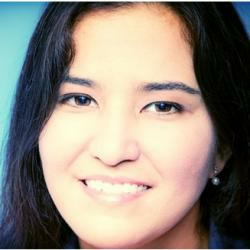 What’s important to note in using LinkedIn is that you have to capitalize on your personal or page profile contents. Professional Profile (Background and Profile Photo): This platform being the top headhunters network should never be taken for granted. the recommended size for a profile photo is 400 pixels wide by 400 pixels high. LinkedIn offers a way to customize your your professional profile by allowing you to upload a background cover photo, with the minimum sizes of 1000 pixels wide by 425 pixels high up to a maximum of 4000 pixels wide by 4000 pixels high. TIP. For better results, use a background image with 1400 pixels wide by 425 pixels high. Company Page (Banner and Logo): The requirement for a banner image on this platform is 646 pixels wide by 220 pixels high. Logo options require 100 pixels wide by 60 pixels high for standard sizes and 50 pixels wide by 50 pixels high for square logo. Showcase Page (Hero and Logo): These are pages that is widely utilized to focus on specific products and/ or services of a certain company or brand. For the hero pages, LinkedIn recommends a minimum size of 974 pixels wide by 330 pixels high for optimum resolution. Logo image should have 100 pixels wide by 60 pixels high for the standard logo and 50 pixels wide by 50 pixels high for square logos. AD Images: LinkedIn offers Sponsored and Self Served ads. Sponsored ads updates require a 800 pixels wide by 400 pixels high image. Self-served ads on the other hand requires a minimum size of 50 pixels wide by 50 pixels high. Youtube is the most popular video hosting platform. However this social media network has prescribed its own image requirement to use when uploading for optimal viewing. Channel Art and Profile. channel art is Youtube’s version of a cover photo from Facebook or Header from Twitter. Recommended size for channel art photo is 2560 pixels wide by 1440 pixels high. This image size is then scaled accordingly based on device access. The profile photo has a 1:1 aspect ratio with sizes up to 800 pixels wide by 800 pixels high - minimum requirement is 98 pixels wide by 98 pixels high. Video Thumbnails. Youtube auto-generates thumbnail to choose from as you upload, with the option to upload a custom thumbnail, with the recommended size 1280 pixels wide by 720 pixels high to qualify as a full HD material. TIP.Include some text in the video thumbnail to maximize impact. You can use Visme, to do this. Today, this microblogging platform has more than 420 million users, with over 241.6 million blogs inside a whopping 113.6 billion posts. These numbers are reason enough not to overlook this social media sharing site. Profile Photo: Your profile photo will appear alongside your posts in a follower’s feed and next to the follow button when someone visits your page. Aspect ration for this image is 1:1 with a minimum requirement of 128 pixels wide by 128 pixels high in JPG,GIF,PNG or BMP formats. Image Posts: Sizes that is uploaded vary. for better resolution, it is recommended to to use dash image sizes with an aspect ratio of 2: 1, with max of 1280 pixels wide by 1920 pixels high. This will appear in feeds as 500 pixels wide by 750 pixels high. Photo Set: Use 540-pixel width for single image photoset. Use 268-pixel width if you have 2 more images in a photo set and 177-pixel width if you have 3 images. Audio Posts. Use an album art with an aspect ratio of 1:1 and minimum size of 169 pixels wide by 169 pixels high. 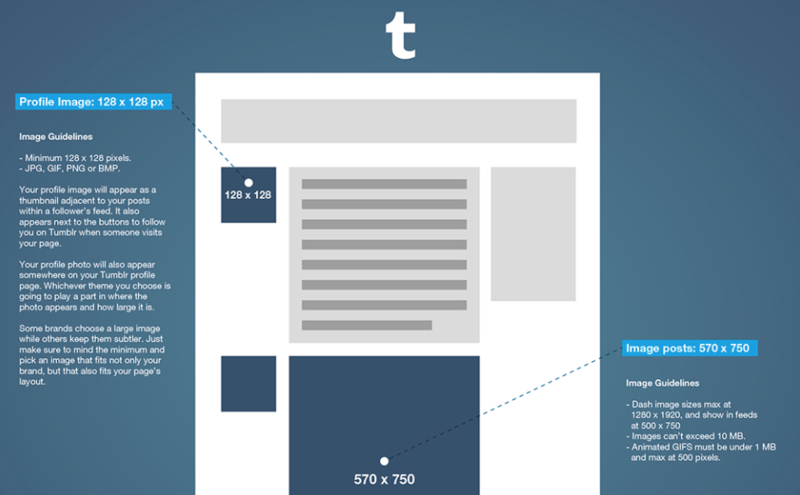 Link Posts: Tumblr resizes thumbnail down to 130 pixels wide by 130 pixels high. Text Posts: As of March 2015, inline images now appear in full width - 540 pixels wide. Why does size matter anyway ? Social Media Marketing is a content marketer’s gladiator arena. If you choose to include social media marketing in your efforts, then it is necessary that you know every angle at which your brand or business will greatly benefit from. Tapping to resources and maximizing its potential is a key element to succeed in the ever changing world of digital media marketing. Good Impression: No matter the product or service you offer, you have a brand. In social media you have visuals to grab attention and offer first and lasting impression. A poorly sized and unattended profile or company page says a lot about you and the quality of your product, brand or service. Similarly, when you invest in paid campaigns, using appropriate sizes offer a great impression. This post is intended to educate marketers and business professionals in the use of images on their platforms to effectively accomplish marketing goals and objectives. What is noteworthy here is that, when you right your blogs and want to share them them on various platforms, you have an idea of what it will look like with the image size that you have. It is equally important that you know what your blogs, its thumbnails will look like when they are shared by your audience and followers. If you need to create your own social graphics; you can also use Visme. 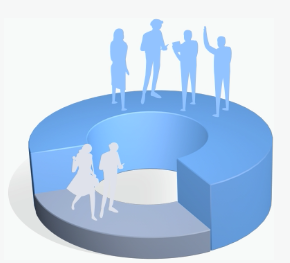 Although it is known as a leading Presentation and Infographic tool, it is sometimes overseen as an easy means to create any visual in any form and size. Photo Posts on Profile or Company Page: The safest way to do this in the absence of a minimum requirement is to use the same size as the Sponsored updates which is 800 pixels wide by 400 pixels high. Forlink previews you need not worry since LinkedIn resizes the thumbnail to fit its 180 pixels wide by 110 pixels high resolution. TIP: LinkedIn works best with square images. If you are using one for your links or photos, you can use images with 1200 pixels wide by 1200 pixels high. Truly valuable and appreciating work!Would be nice if this was downloadable, i’ll likely just forget about it now though. Thanks. Glad you found it useful. Please sign up for our weekly newsletter to get tips right to your inbox. Thanks, Jhon. Glad you’ve found these tips useful. You can also sign up for our weekly newsletter to receive tips right in your inbox.